Dan and I decided to have a "let's go anywhere" adventure for our Memorial Day festivities. Isn't this print by The Wheatfield beautiful? 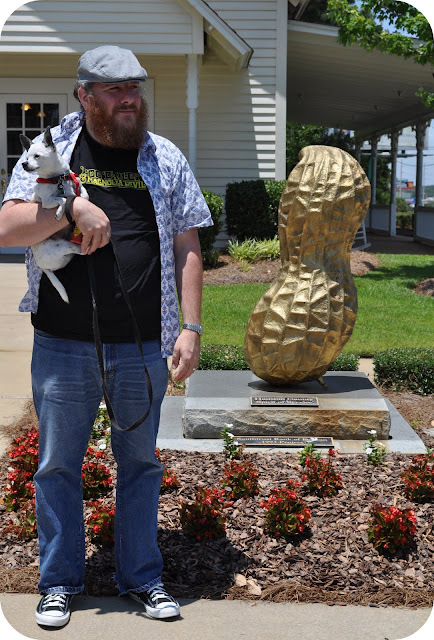 Daniel looked up some attractions on Roadside America and off we went, to see a "large golden peanut" in Dothan, Alabama. Dothan calls themselves, "the peanut capital of the world". I giggled when we pulled up to the peanut. It wasn't all that impressive. The adventure was in no way a bust. We drove through some beautiful towns and stopped for boiled peanuts. We also found a very special restaurant and have big plans to go there for my birthday. The peanut fields are so beautiful. In other news, I went fishing for the very first time yesturday. Our friends invited us over to fish at their pond and have a fish fry. I ate one with hushpuppies and pickled okra on the side. It was a magical night and I will never forget it. Dan almost caught an alligator. Have I mentioned that I LOVE summertime in Alabama? Ha! That is one golden peanut! 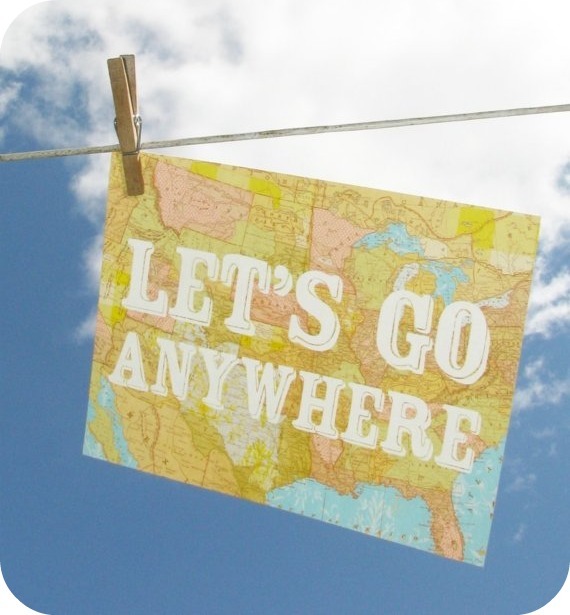 I love that sign, I feel like that some days, I don't care where we are headed, just as long as it's somewhere!! You're making me miss the South, Ms. Fritz. Thank you for that. 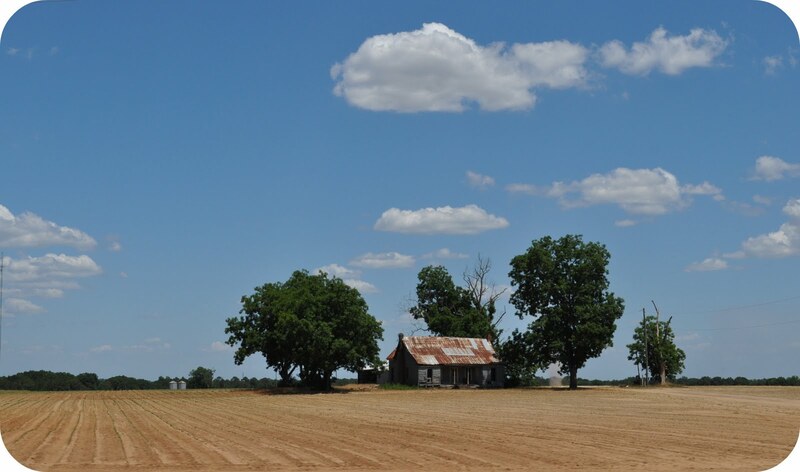 i agree with deja -- i'm very very homesick! my grandfather used to take me and my brothers fishing all the time. however, i put my fishing skills right up there with my camping skills! :) here's to summertime. i hope you are having a happy sweet wednesday. sending you love and hugs. What a lovely little trip! We had the same kind of weekend and are going to do it again this Friday. I just love little day trips! What a cool trip! I like the peanut fields. how cute are your boys? i wanna spend the summer with you three!! !